Roma could take legal action against Bordeaux and Malcom after the forward pulled out of a deal to move to the Italian club in order to sign for Barcelona. Sporting director Monchi says Roma are "looking at [their] options" after seeing their move for the Brazilian hijacked by Barca at the eleventh hour. Both Bordeaux and Roma confirmed that an agreement had been struck for Malcom to move to the Serie A side on Monday, although nothing was signed. However, a late €41 million bid from Barca led to a dramatic U-turn, with the La Liga champions confirming a transfer had been completed on Tuesday. "We are looking at our options and seeing if we have a legal case," Monchi said. "It is true that nothing was signed, but there are many messages with the agents and [Bordeaux] president [Stephane Martin] that are at least worth being assessed." Roma announced on Monday that, after reaching a verbal agreement with Bordeaux, Malcom was due in the Italian capital for a medical and to finalise personal terms. Monchi explained that it was only later that day that he found out Barca had made a bigger offer for the 21-year-old attacker. "Martin told me that an offer had come in from Barcelona that was better than ours and that if we did not raise our offer we could not have the player," he added. "I told him that we had an agreement, we had made the deal, but he said that nothing had been signed and that, despite having exchanged some documents to be signed, nothing could be done. "I informed our president [James Pallotta], telling him of the change, and he gave me the green light to push forward and make a new offer that was better than Barcelona's. "I informed [Martin] and [Malcom's] agents that Roma were ready to beat Barcelona's offer. At 11 p.m. we submitted a formal document with the offer Pallotta was willing to make." 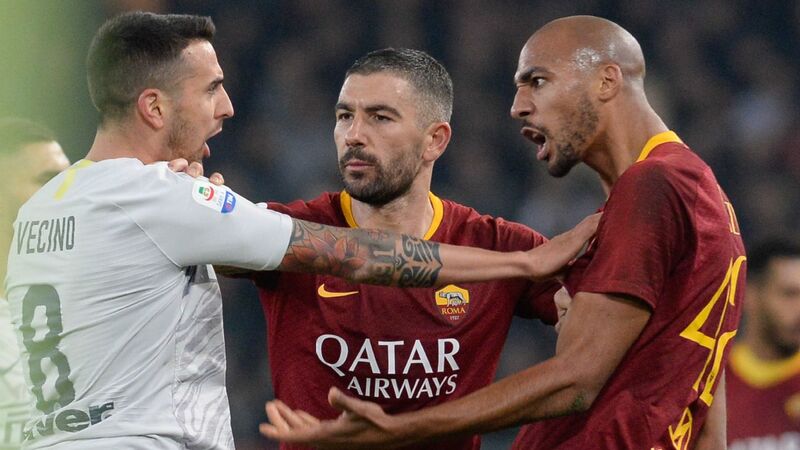 It was at that point that Monchi claims Bordeaux and Malcom's representatives were still angling for more money, so he pulled Roma out of the deal. "I told them enough," Monchi said. "We did not want to enter an auction: We could not continue like that." Malcom, following deals for Arthur Melo and Clement Lenglet, becomes Barca's third signing of the summer. He arrived in Barcelona on Tuesday and will undergo a medical on Wednesday before joining his new teammates in the United States. Barca and Roma will then play each other in the International Champions Cup in Dallas next week, although Malcom could make his debut before then in Saturday's game against Tottenham in Los Angeles.